Suzie Wilks (TV personality from Postards & Changing Rooms) approached A Lavish Affair to plan her wedding with less than three months before the big day. Our team took on the challenge and did not fail to deliver. 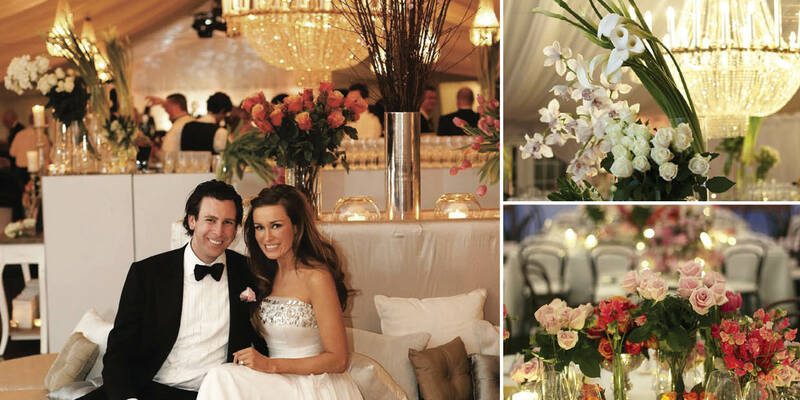 This lavish hush hush wedding was held in a beautiful marquee in The Royal Botanical Gardens, Melbourne. The entire marquee was fitted with custom-made everything from soft flowing draping and plush carpet flooring and was adorned with french provincial doors and a number of crystal chandeliers. The challenge with the wedding was to keep it all under wraps due to an exclusive feature with OK Magazine, the ceremony, pre-drinks, reception and lounge area were all held under the one roof and all at the same time! 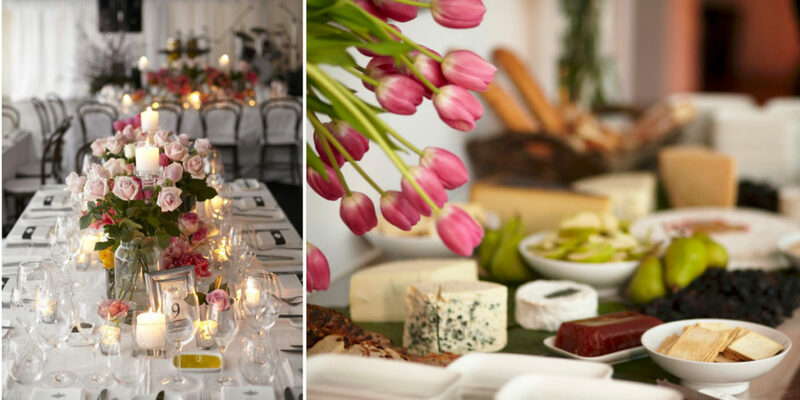 If you would like to know more about how we cleverly achieved this mammoth task contact the principal planner at A Lavish Affair, Marisa Welcome.